Residents are being warned that winds of up to 65mph could hit the region between tomorrow (Thursday, September 20) and Friday (September 21). 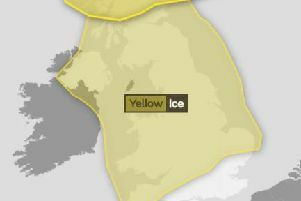 The Met Office has issued the yellow weather warning for a large area of the South and South East. The alert for severe winds is in place between 6pm Thursday and 9am on Friday. The Met Office warning reads: “An area of strong winds is likely to develop across parts of Wales and southwest England during Thursday evening before spreading further eastwards across England. “Most likely is that we will see gusts of 45-50 mph in a few spots inland as well as more widely around exposed coasts. “However, there is a small chance that stronger winds will develop in some areas with 60-65 mph gusts possible, particularly overnight into Friday across eastern England. 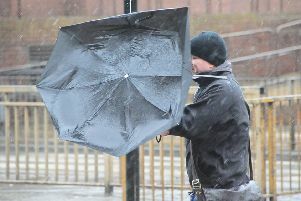 “The strong winds will accompanied by short-lived outbreaks of very heavy rain in places. “There is a slight chance of some damage to buildings, such as tiles blown from roofs or through falling trees and branches.